Jill is the owner and head trainer at Hidden Creek Equestrian Center. She is an FEI-level rider and currently competes her self-trained horses: Grande I Am ("Grande"), an 18-year-old Hanoverian gelding, and Ultimate ("Uli"), a 13-year-old Dutch Warmblood gelding imported from the Netherlands. Jill has a background in both dressage and eventing. 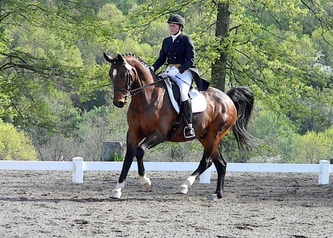 She trains numerous competitors from beginners through Prix St. Georges riders, including her daughters and fellow trainers Jessie and Becky Kuc. 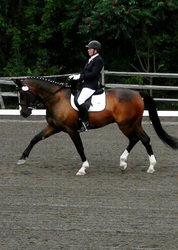 Jill is also an "L" graduate with distinction and judges many dressage schooling shows in Pennsylvania and New Jersey. 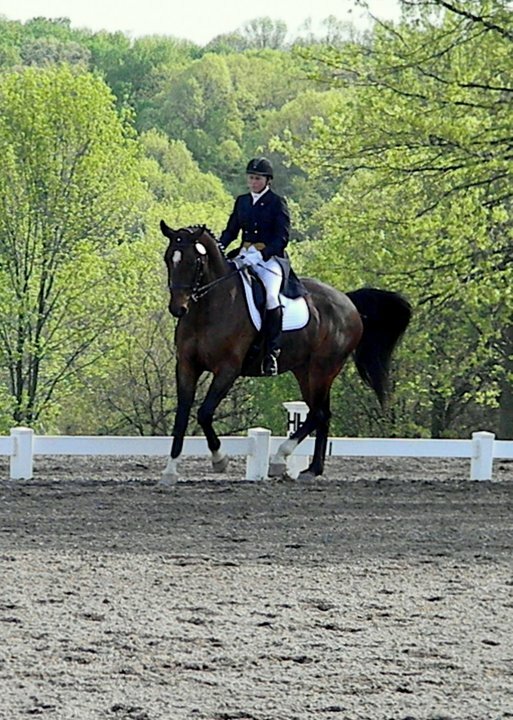 She is a USDF Silver and Bronze Medalist, an ESDCTA Gold, Silver, and Bronze Medalist, and she has earned her USDF Silver and Bronze Freestyle Bar. 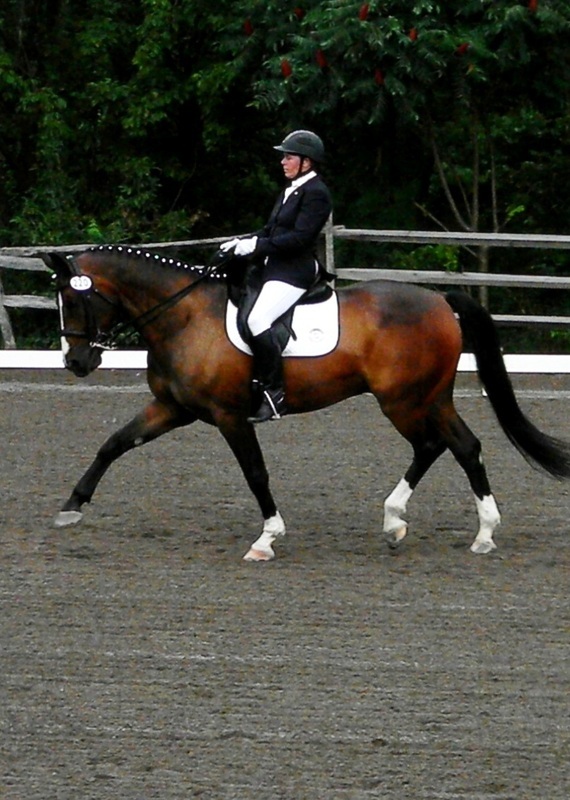 She is the co-chair of the ESDCTA Youth Committee, and believes in providing educational and competitive opportunities for young dressage riders. 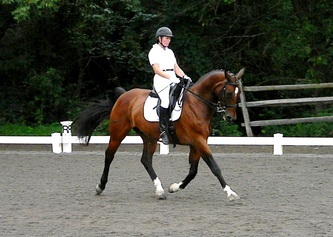 A rider and competitor as a teenager, Jill took time off to go to college and start a family. She graduated from Rutgers University with highest honors and a B.A. in Mathematics and she taught high school math before helping Ed open his environmental consulting business. 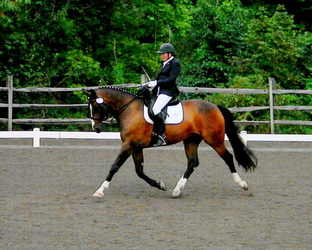 Jill returned to the horse world in 2001, when she purchased Grande, and has been competing in dressage since. After various knee surgeries years ago, Jill decided to undergo a total knee replacement early this year. Despite the doctors and literature saying it would take a good four months to get back into the saddle, Jill was practicing tempi changes on Grande less than two months post-op. Not surprisingly, she returned to the show ring in July, and will start back to USEF/USDF Recognized Dressage Shows in August. 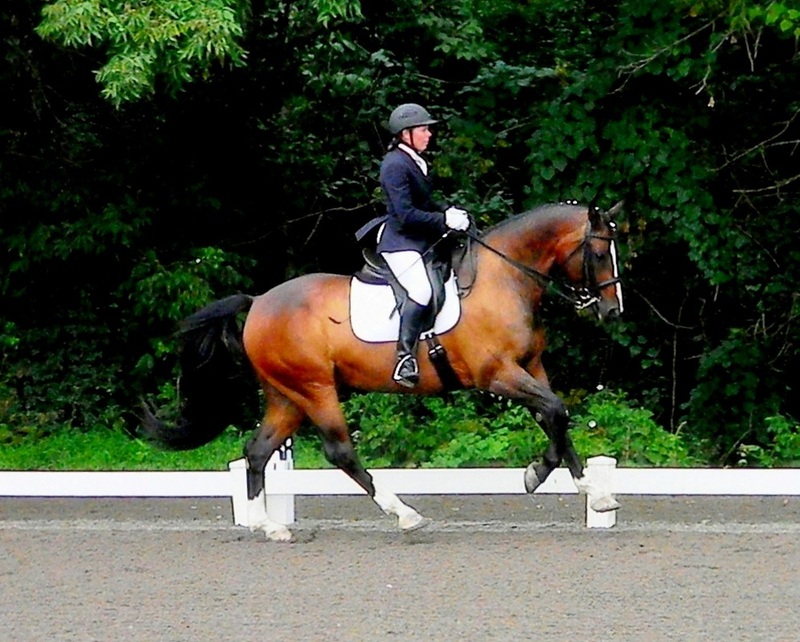 She plans to have both Grande and Uli competing at the top of their game by the 2015 season as she continues to pursue her USDF Gold Medal.